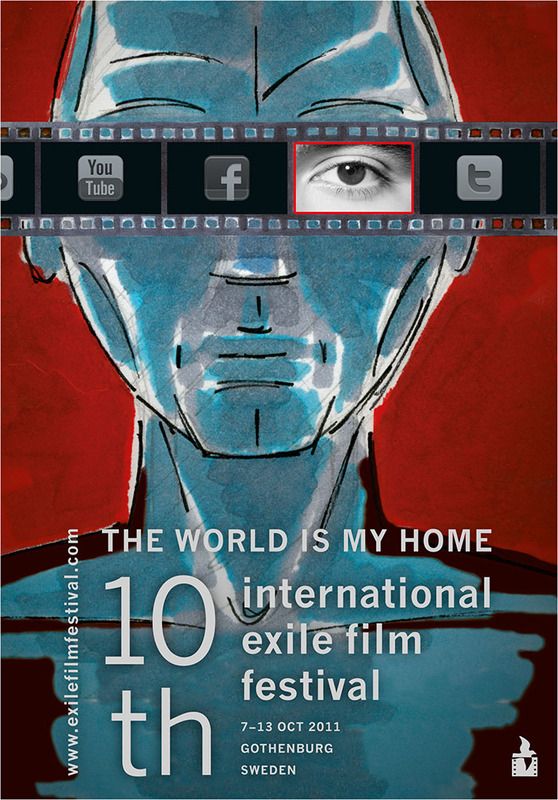 Welcome to the 10th International Exile Film Festival – held in Gothenburg Sweden from October 7th to 13th, 2011. Exile Film Festival is a free forum for the presentation of films made by filmmakers in exile, irrespective of nationality, ethnicity, or religious affiliation. Exile Film Festival strives to showcase the works of filmmakers in the international film culture. Exile Film Festival is also an open forum for non-exiled and non-immigrant filmmakers to presents their works in a special program that features themes of exile, immigration, and democracy. A general group that shows that he / she has his views on the rest of the world. Featuring films made by non-exiled and non-immigrant filmmakers. The Arabic Spring Revolution: This is an open program about the development of democracy in the Arab worlds. In this program we screen films from Egypt, Tunis, Jemen, Libya, Syria, Marrocco, and Palestine. The Image of Women, Afghanistan: Ten young Afghan women filmmakers take us with them to Afghanistan to show us how it is to be a woman and live in a country where they live under diverse oppressions day after day. To a place where in a part women can go to school and becoma a filmmaker, while somewhere else people are opperessed by the religious fundamentalists who rule the country with iron hands and old traditions. Under such risky circumstances and with great courage these young women manage to visualise the story of the reality they live in. In a facinating way we follow their struggle for rights, democracy and freedom of speech. Mail Order Bride: A program with exciting films about immigrants who choose their wives through relatives solely based on pictures and video. The program sheds light on this phenomena and its effect on the people and society. Suburbs Burn: In the suburbs young immigrants emerge with high ambitions to realize their dreams. Dreams of a true sense of identity and strong will to decide on their destiny in the centre of a city that defames their reactions. In this program we highlight the lives of young immigrants. For these programs we accept films made by non-exiled and non-immigrant filmmakers. Odyssey of Cinema – Freedom Odyssey: The Freedom Odyssey is a film program about peoples’ movements towards the globalization of social justice and democracy.